First glue on the wiggly eyes with hot glue, placing them high on top of the head. Next, to make the horses bridle, measure and cut the ribbon to fit around the two places you rubber banded. 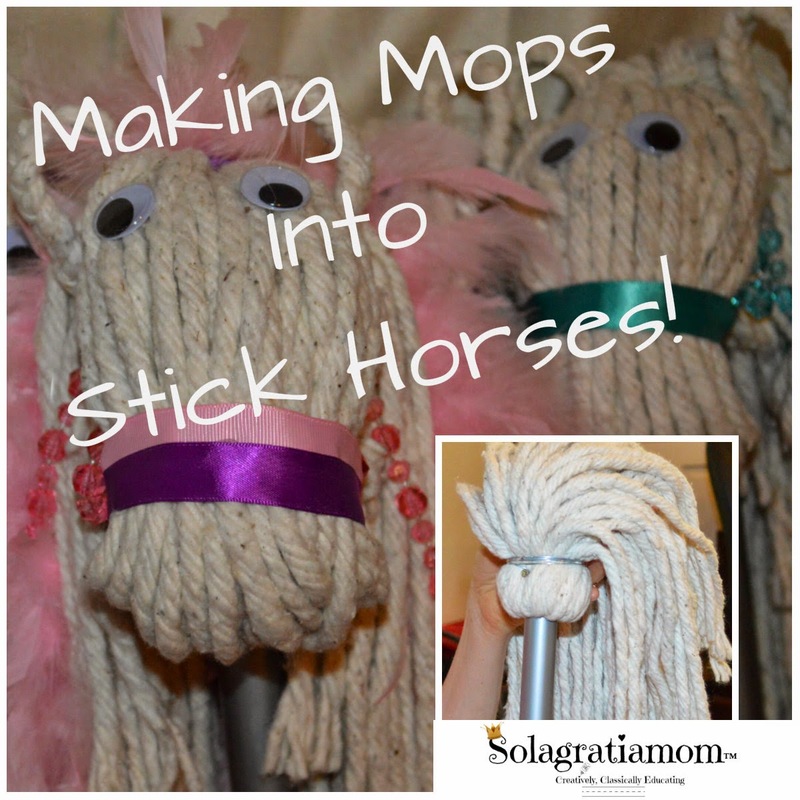 After that, glue the ribbon around the horses face and tack them onto the mop with glue as well, this will hold them in place. Next, take the beaded necklace and brake it in half to be able to use it as reigns. Stick the end of the necklace beads into the bridle at the muzzle and glue, then thread them through the throat and glue and lastly, drape it around and glue at the throat and then muzzle on the other side. This will give you the reigns. That's it! You are done! It took me longer to decide on how I would make them, then it did to actually make them! 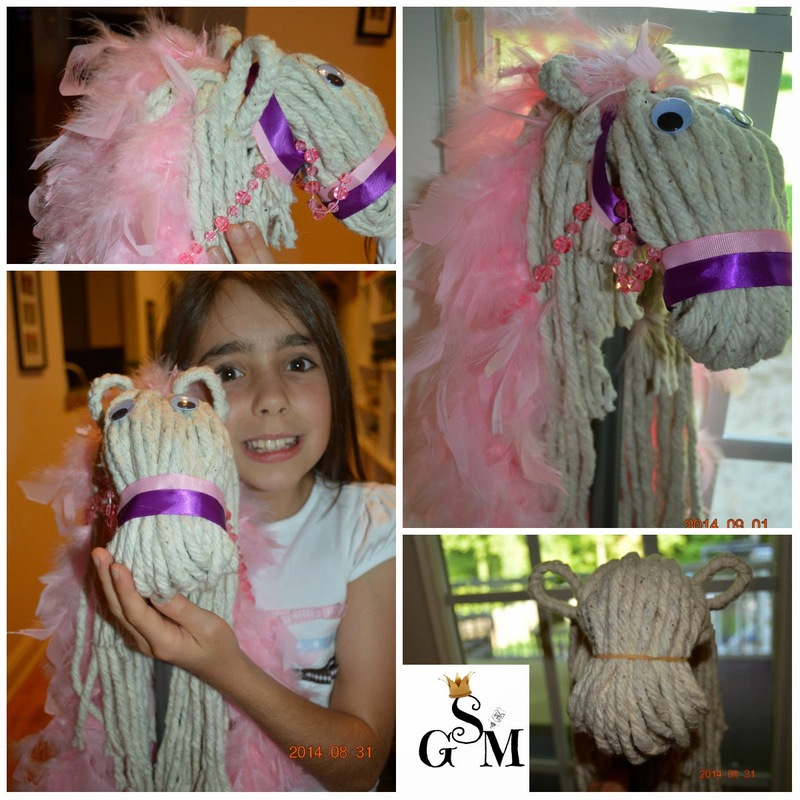 You could do lots of different variations to this and get creative, to make a very fancy and beautiful stick horse! My daughter wanted her horse a little fancy, so we not only added the boa feathers but we also took two colored ribbons to make her bridle larger as well, which you can see above. 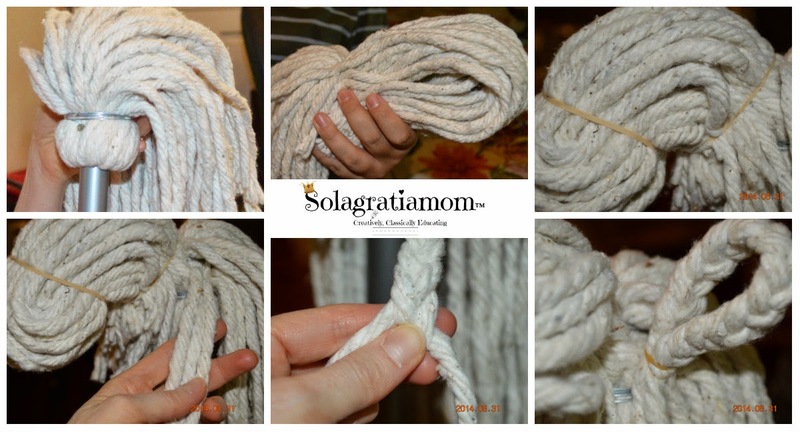 I took a boa scarf and cut a few pieces the length I wanted and hot glued them into place around the mop and then some on top for the forelock of the horse. On the doubled bridle, you do the same as the directions above for one, just twice and tack them together. It was actually a fun project for my daughter and I. You could always glue jewels and eyelashes etc. to fancy up your horse more. I love to come up with ideas for how we can give things to the kids who are coming to her parties each year. It takes the focus off my daughter's receiving presents and puts it on what we can do for "others" at a time when the focus is heavy on "me" for kids. I hope you love them as much as we all did! They were a big hit at the party! I will be posting later about the big birthday bash -cowgirl hoedown style! So stay posted! If you are looking for more birthday blow out ideas you can see our drive-in themed party from last year which also has the last several party themes we have done together. It's now become an annual tradition to plan a creative themed party together! What a great idea - nice & simple too! Gee...I'll have to see how that could be shipped! :) Thanks for stopping by! Brilliant! 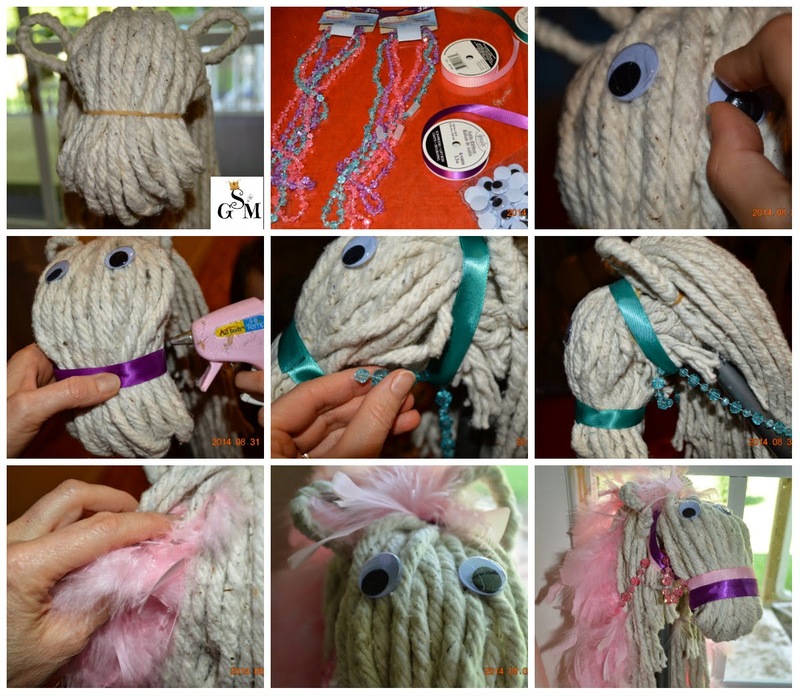 I have made sock hobby horses before, but I am excited to try this one.